To check your Next Gift Card Balance online and find more information on how to redeem your Next Gift Card on the Next Website, click here. By sales, Next is the largest clothing retailer in the UK. It boasts over 700 stores, 500 of them in the UK with the rest spread across continental Europe and the Middle East. As well as a high street and shopping park presence, Next operates a successful directory business. Founded in Leeds by Joseph Hepworth (the Hepworth House building still bears his name) Next moved to Leicester in the 1980s with the intention of being closer to its suppliers. The company is still headquartered in Leicester and has been incredibly successful. Where can I check my Next Giftcard balance? You cannot currently check the balance of your Next Giftcard online without making a purchase – the gift card or e-voucher can only be added during the checkout process. You can call Next on 0333 777 8800 (this is a local call rate number, and will be included if you have minutes bundled on your mobile plan). This telephone number is operated by Next. You can check the balance by presenting the card at a till-point in any Next store in the UK. Where can I buy a Next gift card? As you’d expect, you can buy them from any Next store. They are also sold at Sainsbury’s, Tesco, Morrisons and Wilkinsons. You can buy gift cards by post from the Next Flowers site (you can also order flowers, though this is optional!) There are a range of different designs available – click here to see them. Delivery from Next starts from £3.00. 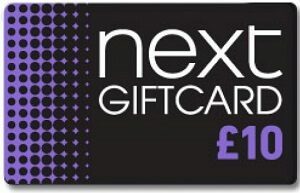 You can also buy Next e-gift cards (delivered electronically by email, for printing to take in-store or using online) from their website at http://www.next.co.uk/evouchers No delivery charges on e-vouchers. Where can I spend my Next gift card? You can spend the Next gift card at any Next store in the UK but cannot currently be redeemed on their website, however they say that they are introducing this soon. If you have a Next Directory account, you can also apply a giftcard to this. Next Gift cards and E-Vouchers are redeemable online at the Next website, however only for orders sent to the Next account holder’s address (if you want to send your order as a gift to someone else, you will have to pay by another method). Cards are valid for 24 months from the last transaction. If you top-up your card (“re-load”) the card in-store, this will give you another 24 months validity – so, if your card is nearing expiry and you’re not ready to spend it, you might want to consider topping it up in-store to avoid losing the value.